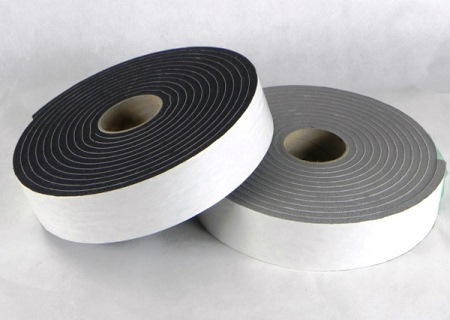 Gasketing tapes are cellular foam with adhesive (PSA) used for sealing, gasketing, insulating, and cushioning, most commonly between metal surfaces. 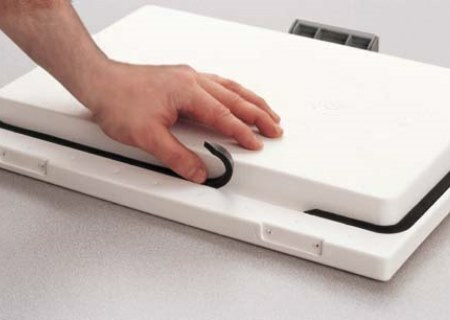 Different types of foam and adhesive are used depending on the needs for the application. Insul-Fab manufactures and distributes products for virtually every purpose. 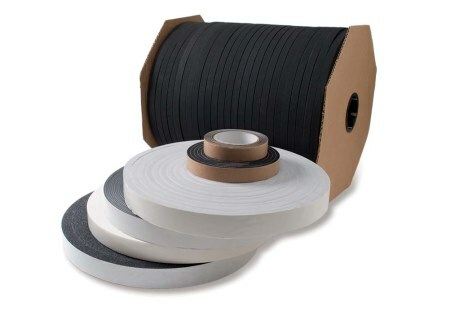 The type of sealing required, temperature, compression set, compression deflection, flammability, and cost are all considered when choosing the right gasketing tape for the job. We have the ability to provide gasketing tapes in standard and custom thicknesses and with economical or performance grade adhesive systems. 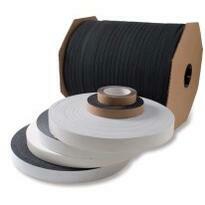 Gasketing tapes in roll and spool formats in standard and custom thicknesses. Neoprene blends, vinyl/nitrile, PVC, polyurethane, and polyethylene are most common. Adhesives manufactured in-house and from leading suppliers for value and performance. Manufacturer of 680-1468 for BMS 8-283 gasket tape applications. UR Series Poron Microcellular Polyurethane .02"-1/2" Performane foam for cushioning, isolation, and sealing. Low compression set, many options. SN Series Bisco Closed Cell Silicone .02"-1/2" Hi temp cushioning, isolation, and sealing. UL 94V-0. No compression set and many options.